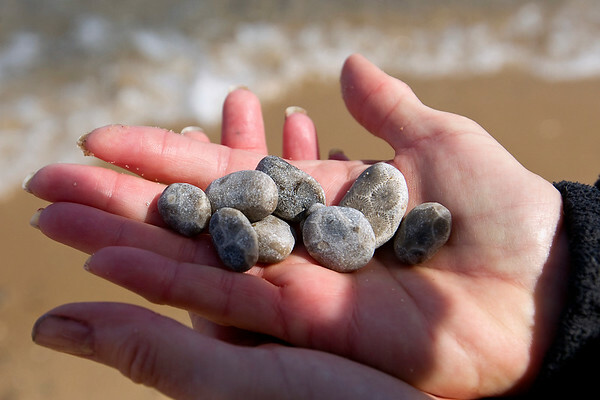 "I try to keep mother nature intact whenever possible," said Nancy Deye of the Petoskey stones she and her husband Ross find along Lake Michigan's Good Harbor Bay in Leelanau County. "I let them tell me what to do." Nancy Deye turns the best stones - usually about one inch in diameter and well-patterned - she finds into jewelry.